Nelly has been asked to make a literary contribution a collaborative research project with Imagination, Lancaster University, UK, Charles Sturt University, Australia, and the Design Museum, London. The project is proposed at a time when governments and markets across the world are actively reshaping the university and hence the Design School. What was always a trickle of complaints about the domestication of the modern university has become a flood of books, reports, opinions and editorials, public admonishments, proposals, and counterproposals. In this time of rapid and intensive change, the network will foster new international relationships to debate the Design School of the future. These changes have forced design schools to revise their offerings. The first revision was the turn from the discourse of disciplinary autonomy to interdisciplinarity; and the second was the emergence of consumer culture and information and communication technologies. These developments have had three consequences for the teaching of design. First, instead of the emphasis on “design”, there was a shift to gain academic legitimacy by establishing a dialogue with history and theory developed in firstly scientific and then philosophical realms. Second, the traditional notion of “creativity” was replaced with that of “invention” that led to the search for legitimisation through design science. And the third consequence was the push toward interdisciplinarity in an allegiance with technology. Is the shift from disciplinary autonomy to interdisciplinarity, which is now seen as normal and even desirable, in fact cultivating a very different landscape for the design school? Nelly’s contribution, “Designers as Mythologists: The University of the Underground” hones into the ethos, goals, and values of The University of the Underground. To learn more about the literary and research collaboration, follow the link here! *To develop an international perspective on the state of the contemporary Design School. * To explore whether the Design School of the future needs to be more “undisciplined” (not interdisciplinary) in its approach to increasingly complex global crises. * To examine the conditions that are impacting on the Design School in ways that the history of the discipline has not traced. * To review the effects of the shift from disciplinary autonomy to interdisciplinarity. the spectacle of image making. 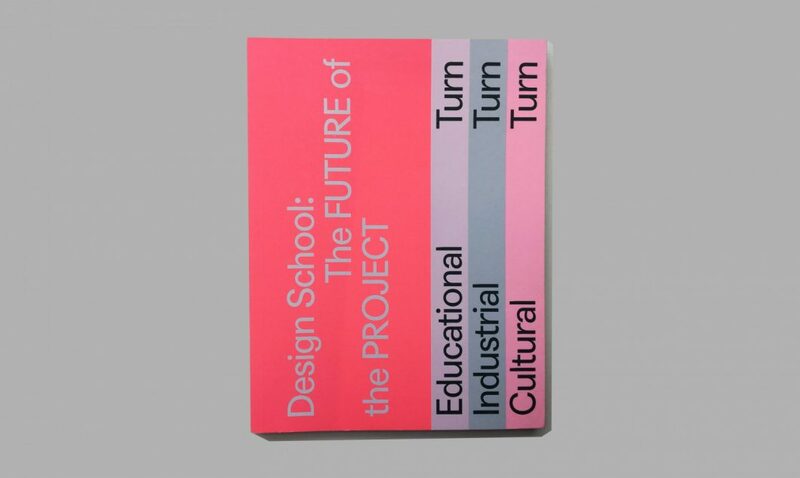 “Design School: The Future of the Project”, is a small booklet published by Lancaster University, ISBN 978-1-86220-353-2. A second book, Design School: After Boundaries and Disciplines, will be published by Vernon Press, New York, USA in the upcoming months, so stay tuned!